Miracle cures, once thought to be laughed out of existence, have found a new medium. 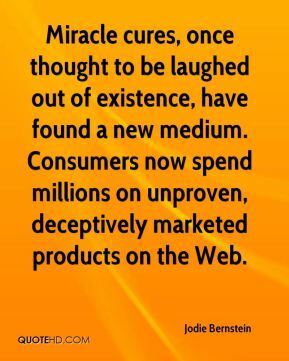 Consumers now spend millions on unproven, deceptively marketed products on the Web. 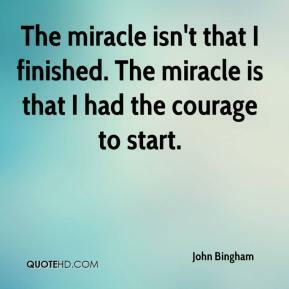 It's a miracle that he survived, ... 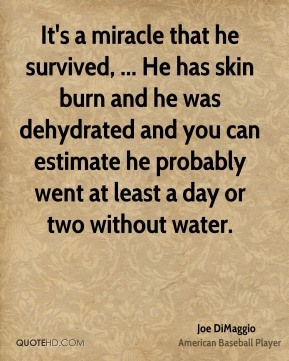 He has skin burn and he was dehydrated and you can estimate he probably went at least a day or two without water. 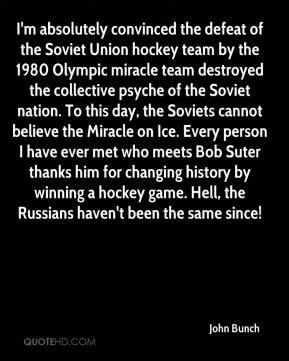 I'm absolutely convinced the defeat of the Soviet Union hockey team by the 1980 Olympic miracle team destroyed the collective psyche of the Soviet nation. To this day, the Soviets cannot believe the Miracle on Ice. Every person I have ever met who meets Bob Suter thanks him for changing history by winning a hockey game. Hell, the Russians haven't been the same since! He fired dozens of rounds. 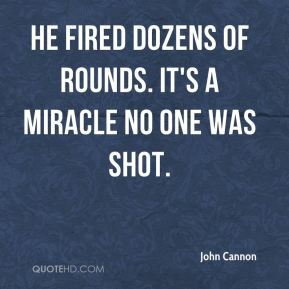 It's a miracle no one was shot. 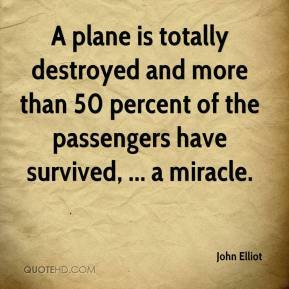 A plane is totally destroyed and more than 50 percent of the passengers have survived, ... a miracle. 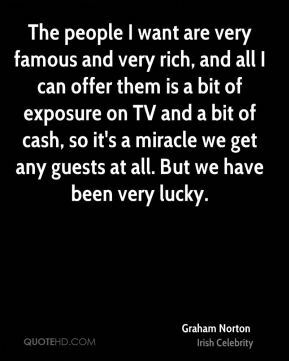 That's the miracle of television. 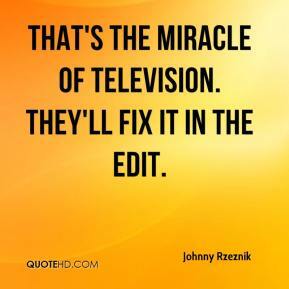 They'll fix it in the edit. 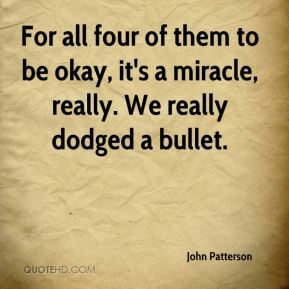 For all four of them to be okay, it's a miracle, really. We really dodged a bullet. 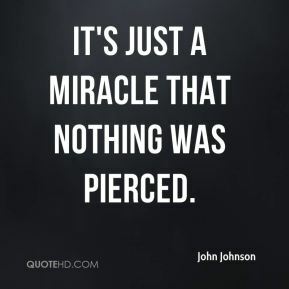 It's just a miracle that nothing was pierced. 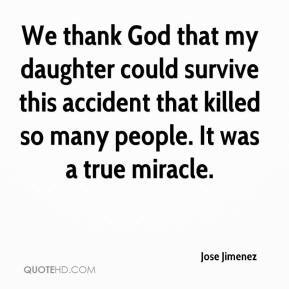 We thank God that my daughter could survive this accident that killed so many people. 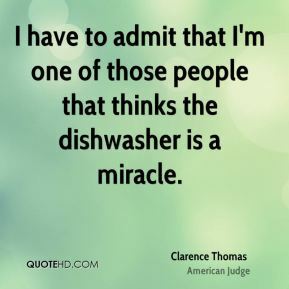 It was a true miracle. 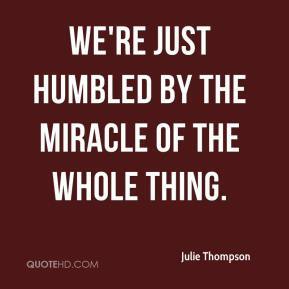 We're just humbled by the miracle of the whole thing. This is a busy, urban neighborhood. 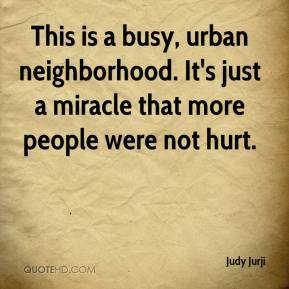 It's just a miracle that more people were not hurt. 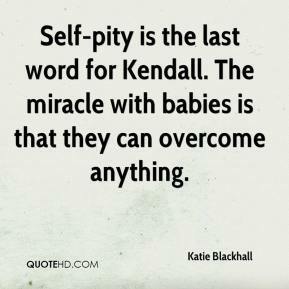 Self-pity is the last word for Kendall. 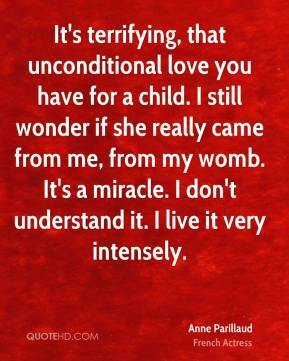 The miracle with babies is that they can overcome anything. 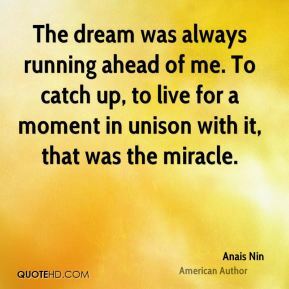 Miracles happen, right? 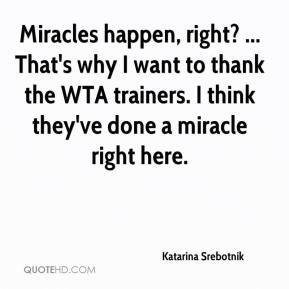 ... That's why I want to thank the WTA trainers. I think they've done a miracle right here. 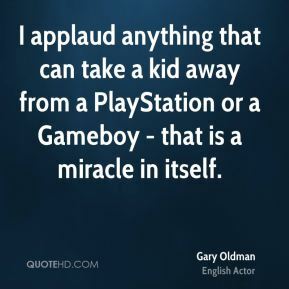 I applaud anything that can take a kid away from a PlayStation or a Gameboy - that is a miracle in itself. 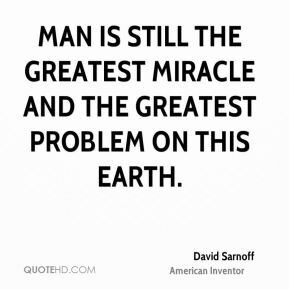 Man is still the greatest miracle and the greatest problem on this earth. 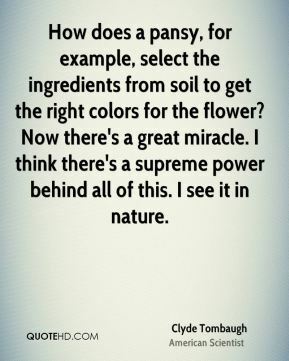 How does a pansy, for example, select the ingredients from soil to get the right colors for the flower? 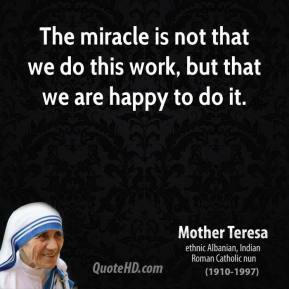 Now there's a great miracle. I think there's a supreme power behind all of this. I see it in nature. 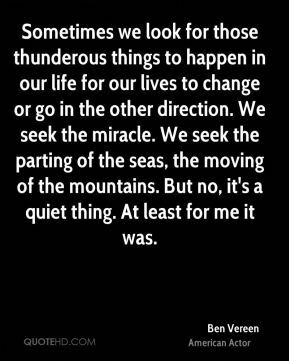 Sometimes we look for those thunderous things to happen in our life for our lives to change or go in the other direction. 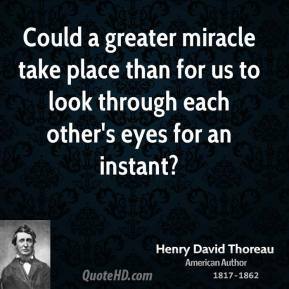 We seek the miracle. We seek the parting of the seas, the moving of the mountains. But no, it's a quiet thing. At least for me it was.